What are your plans for the Christmas vacation? 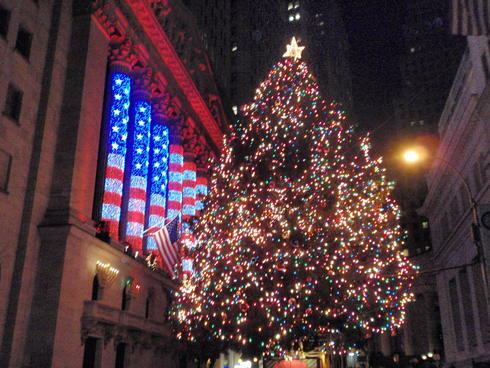 Soon it will be Christmas, then 2013--unbelievable--so, do you guys have any plans over the Christmas vacation? Well, I do. I will be going to Switzerland over the holidays from December 27th till January 2nd. This will be my first time in Europe, so I am very excited! So, I am busy preparing for this and hope that I have enough warm clothes for when I go there. I don't know why I'll be going to a much colder place than Osaka for Christmas though. Hahaha!!!! But it should be fun! I'll try to post as many pictures from Switzerland when I return. 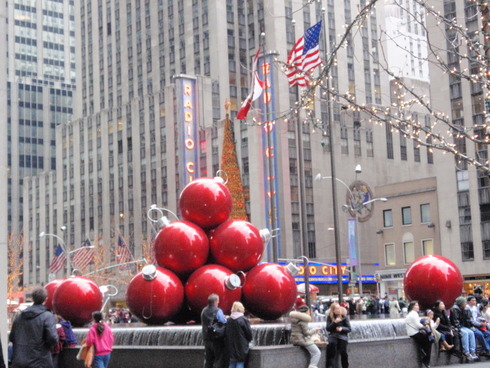 As from my last blog, I mentioned a little about Christmas in the States (America) and how there are lot of decorations everywhere. 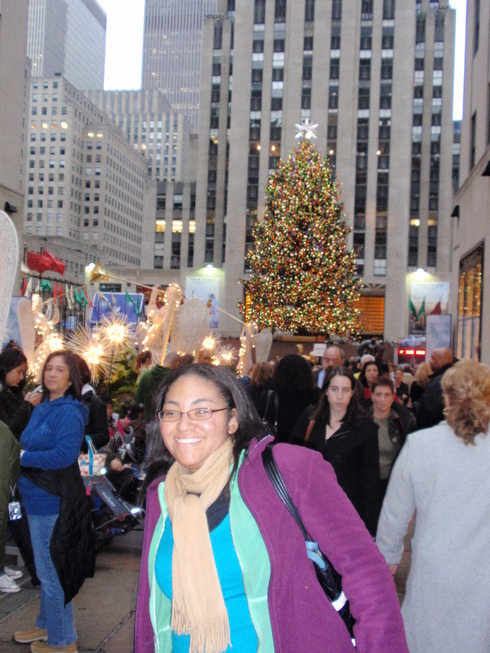 So, here is some pictures of me in New York City about 5 years ago. 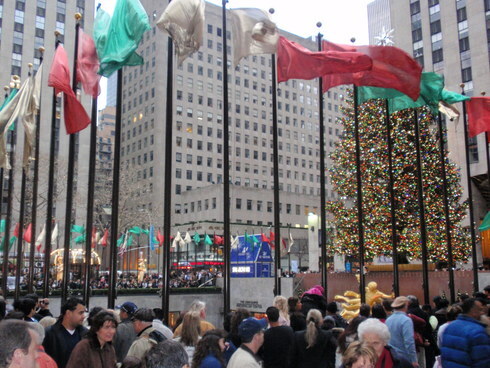 Look at all the Christmas decorations and PEOPLE!!!! Look at all the people......WOW!!!! So busy!